The highest quality construction includes; pressure treated Scandinavian Redwood timber for 25 years protection against wood decay and insect attack, 15mm ship lap cladding, 25mm x 125mm tongue and groove roof and floor, 7+ years life expectancy mineral roof felt, extra strong and rounded 35mm x 44mm framing, fixed toughened glass windows (s), 29” (74cm) left handed door with galvanised hinges, pad bolt, 2 turn buttons and stainless steel nails. 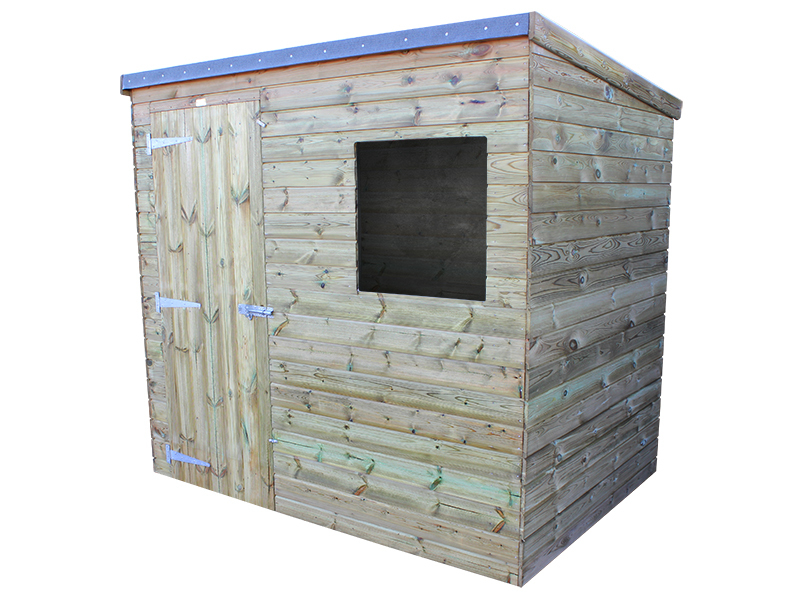 All Challenger garden sheds are under 2.5m high so do not require planning approval and are supplied flat packed with full self assembly instructions and fittings pack. 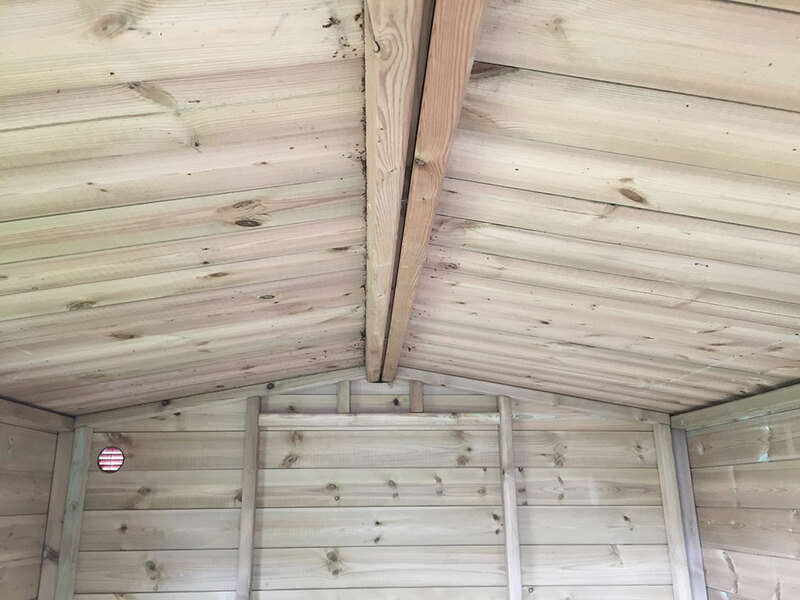 The 7 x 5 Challenger Shed has 1 fixed window. Download the assembly instructions for the Challenger Shed 7 x 5 - Pent Roof. 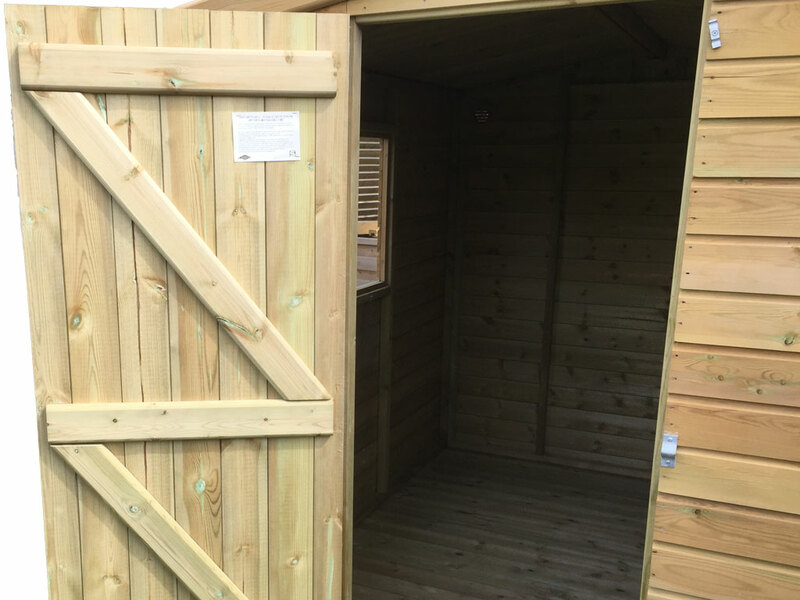 We recommend that your new Challenger shed is installed on a bearer base with a damp proof course. 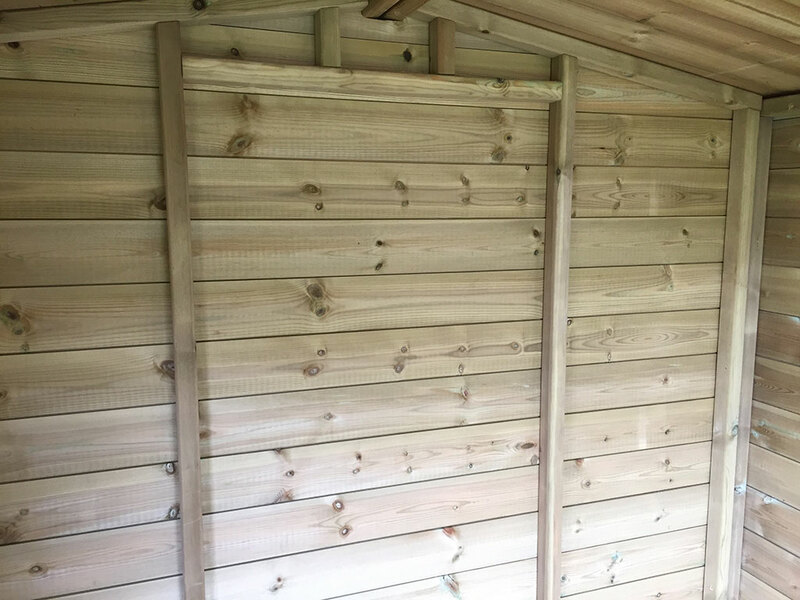 This will provide a physical barrier against water ingress into the shed from below the floor. An offcut of roofing felt makes the perfect damp proof course. All bearer kit items you require will be listed once you place a Challenger shed in your basket. Please refer to the bearer base kit calculator below for the required quantities for your chosen shed size. Images shown may vary from what you receive, we reserve the right to change details, due to continual development and improvements made to our products.